The projected economic slowdown may take a substantial hit on containerboard stocks in the later half of the year, making PKG a risky proposition. Packaging Corp. does boast a 3.1% dividend yield and one of the cleanest balance sheets among peers, making it one of the strongest picks in the sector. The combination of industry-leading potential and expectations of slowed growth make PKG a strong hold until further data is released at the end of April. With what looks to be a nearing to the end of a powerful economic cycle, Packaging Corporation (PKG) may be a quality name to hold in your portfolio if a downturn strikes in late 2019. This stock has underperformed the broader market over the last year while growing revenue by more than 8.8% annually. Growing online sales have benefited the packaging industry and this trend should continue as more and more retail shifts to delivery based purchases. This potential for growth along with an over 3.1% annual dividend yield creates a strong thesis to hold PKG through the later stages of 2019. Though this thesis is not strong enough to initiate a buy at the current prices, Packaging Corporation is a best of the breed company that can safely be held in weaker economic conditions. Entering 2020 if a true downturn does strike it may be wise to sell PKG, but the stock is trading at a relatively fair value compared to peers at this point. 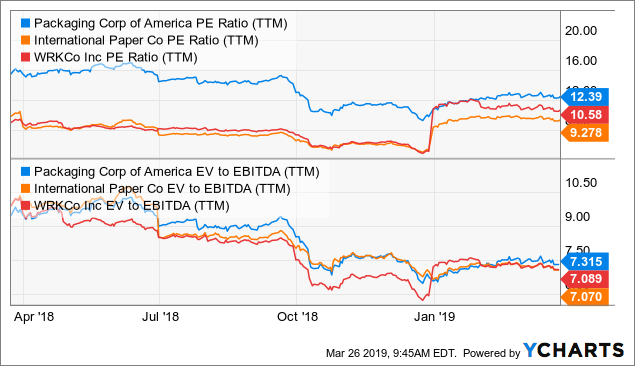 Compared to Peers, PKG trades at a slightly higher valuation when looking at both P/E ratio and EV/EBITDA ratio (Figure 2). This looks to be a relatively fair valuation point as PKG has delivered slightly higher growth rates than competitors of the last few years. This trend is expected to continue and because of this relative valuation there looks to be little reason to enter a new investment into PKG at the current prices. If market prices fall below the $90 mark as I expect they will in coming months with fears of economic slowdown growing, Packaging Corp. may be an enticing safer investment similarly to what we saw back in December. SELL: $105+: PKG could hit $105 if they deliver a strong earnings this quarter, but at this point risk considerably outweighs reward above this mark. HOLD: $90-$105: PKG will most likely continue to trade between this area for the remainder of the first half of 2019 and investors are recommended to hold the stock and collect over 3% in annual dividends at these prices. BUY: $90 & Below: At the current state, any price point below $90 offers potential for reward going forward. Updates to be provided come second half 2019. Looking back at the 2008 recession PKG shares did not fair very well losing over 60% of value from early 2008 to mid 2009. This is troubling news as some of the largest projected economic slowdown since then is expected for late 2019. This has caused investment firms such as Goldman Sachs to begin to cut projections. Earnings this next quarter will provide deeper insight into whether or not it will be smart to continue to hold the stock through the year or find other sectors to invest in. 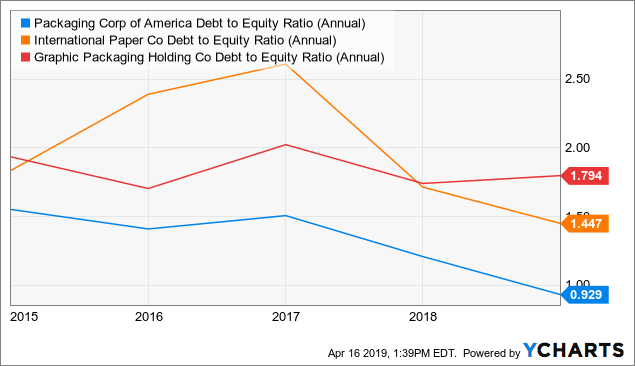 The company has around $2.5 Billion in debt which may seem like a large number for a mid-cap stock, but is rather small compared to peers such as ,International Paper (IP), which boasts over $10 Billion in debt (Figure 3). 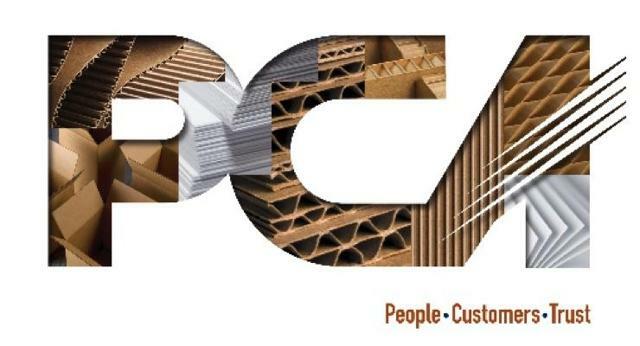 If you as an investor is willing to take the risk in the cardboard/paper sector, PKG looks to be the safest of the group because of strong financials like this. There are plenty of better opportunities in the market with economic slowdown of at least some magnitude eminent. Packaging Corp. has been an industry leader over the past decade and offers a fairly safe hold for dividend investors for the rest of the first half of 2019, but investors should begin to look elsewhere as economic slowdown expected to hit in the later half of 2019 could have substantial effect on PKG. Earnings are projected to be released April 24, 2019 after hours. The data released will give investors a better idea on how long to hold the stock and how much growth could slow over the next year.